Inject the boho spirit into your everyday look with these pretty boho hairstyles. The bohemian look is not just for themed parties. You can sport it every day as your signature look. Likewise, you can also sport boho hairstyles even if you’re simply going to the mall or to your favorite coffee shop. Boho hairstyles have this laidback vibe that makes you look effortlessly chic. We won’t be surprised if you love them as much as we do. Read on to check out different hairstyles if you want to go boho. Braids are perfect for rocking the boho chic look this summer. Now is the time to experiment with various braided hairstyles. Why don’t you try the boho flip in braid? It’s like a pull-through braid but with smaller sections of hair being twisted and flipped. Don’t worry about making it perfect. A bit of mess makes boho hairstyles charming. Nothing spells boho instantly than beach waves. If you have naturally straight locks, you can make your hair wavy using a curling iron or a blow dryer. You can also make waves without heat. Create a tousled ‘do using bobby pins, or go for sock curls. Whichever method you choose, we’re sure the results will be amazing. Editor’s tip: Apply TONI&GUY Volume Plumping Mousse on your hair before curling to make your waves more defined. Bobs and lobs can also boho-fied by adding texture. This hairstyle is perfect when you’ve skipped washing your hair to get to the office in time. 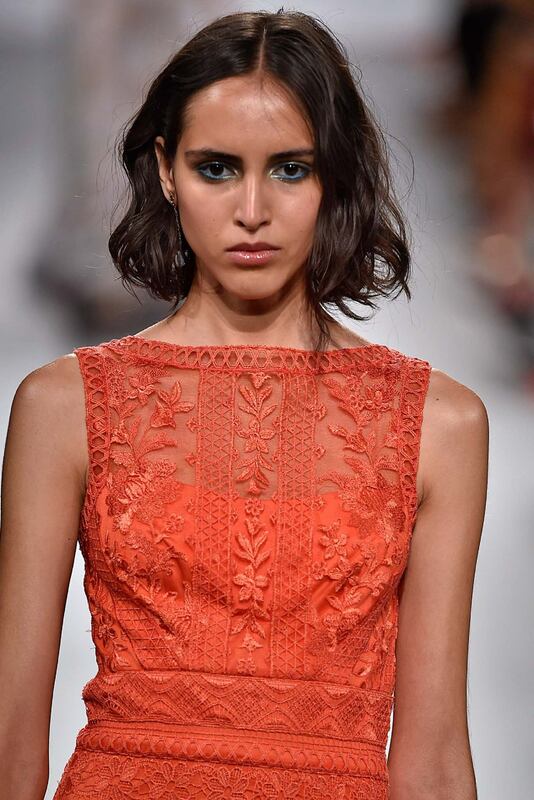 If you have thin hair, a textured ‘do will make your tresses look fuller. Just finger-comb your hair, spritz texturizing spray, scrunch your tresses, and voila! Time to head out the door. Let your baby braid be a pretty accent against your soft and smooth hair. If you want to braid your hair but leave it down at the same time, go for this hairstyle. The baby braid adds the just right touch of boho to jazz up your everyday look. You can wear this ‘do to work along with your business attire and still look polished and professional. Can’t braid to save your life? Don’t worry. 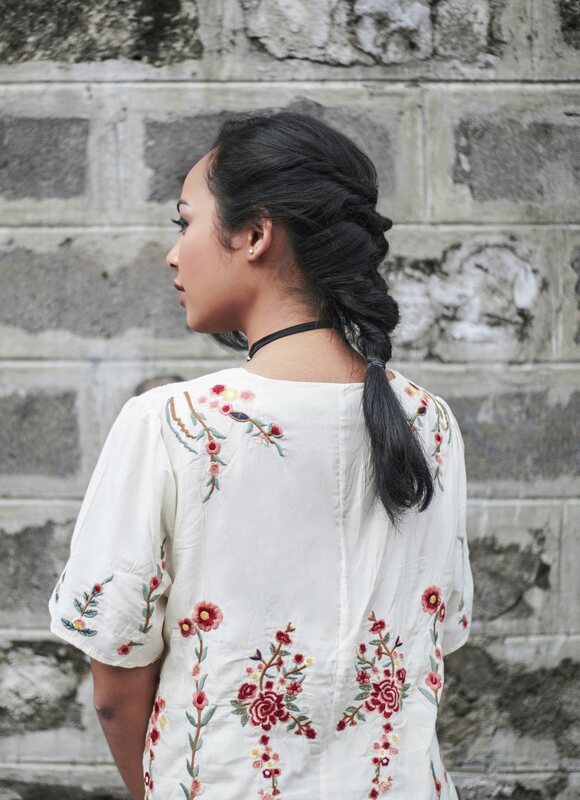 A messy braid is perfect when you’re going boho. Simply blow dry your hair, then put your hair on one side. Create a loose, three-strand braid and secure the end with an elastic. You can also loosen a few strands of hair to frame your face. So easy, right? Wearing a colorful, printed headband is a surefire way to rock boho-chic. This is the big solution to a bad hair day. 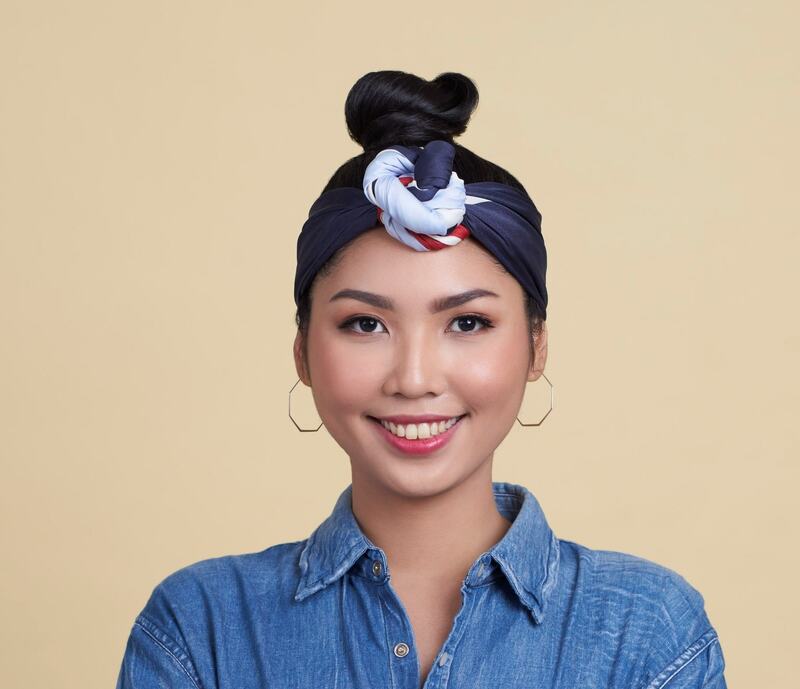 You can wear a wide headband whether you have long or short hair. Then, complement your hairstyle with a pair of hoop earrings to complete the boho look. If you have long hair, you can put it in a high bun before you wear your headband. Curly hair seems to have a life of its own. 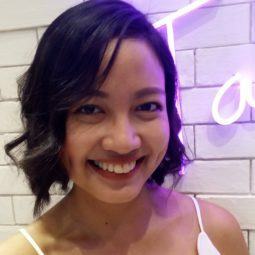 There are days when you want your curls to behave, but you still end up with kulot mess! Instead of fighting it, why don’t you make a hairstyle out of it? Just divide your hair into two horizontal sections and scoop the top section into a half updo. You can use bobby pins or claw clips to style your hair. You can even whip up this hairstyle in less than a minute. Stock up on these essentials to nail boho chic hairstyles. Frizzy hair is different from a messy chic ‘do. We all want the latter, that’s why it is important to keep frizz at bay so it doesn’t take away the attention from your gorgeous hairstyle. Wash your hair with Love Beauty and Planet Argan Oil & Lavender Smooth and Serene Shampoo to calm your nasty frizz. It has plant-based cleansers and coconut oil to help make your hair fresh, soft, and smooth. 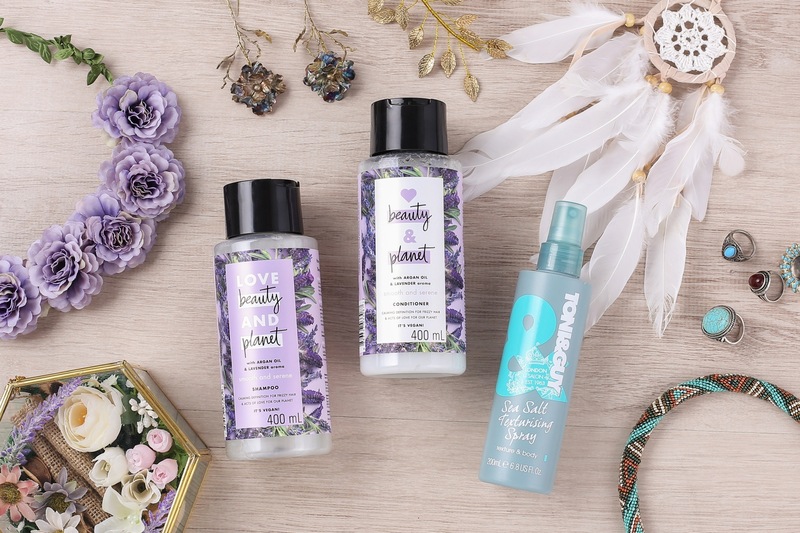 Never skip using a hair conditioner, and what better way to ensure that you have smooth and frizz-free hair by using Love Beauty and Planet Argan Oil & Lavender Smooth and Serene Conditioner. Aside from the benefits it brings to your hair, this conditioner also has an oh so good French Lavender scent, making each hair wash a relaxing experience. Make your boho braids last longer by spritzing TONI&GUY Sea Salt Texturising Spray on your hair. This spray also makes braiding easier because it gives grip to your hair strands. Even if you’re not into boho hairstyles, having this product in your beauty arsenal is worth it, as this sea salt spray also adds body and texture to flat and limp locks. Ready to try these boho hairstyles? 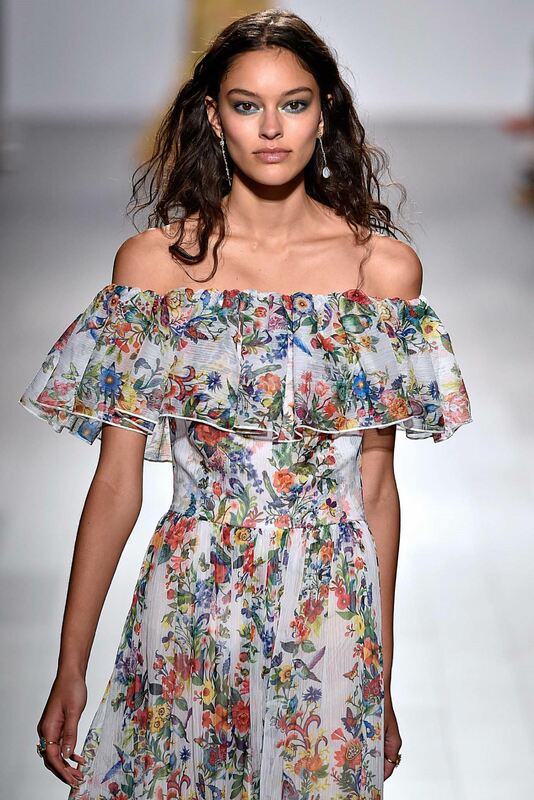 Bring out your flowy dresses and skirts, and let the boho madness begin. Next read: Curly hair can be your greatest asset if you know how to style and maintain one. Check out these pretty curls for long hair and know which products you need to nail each hairstyle.